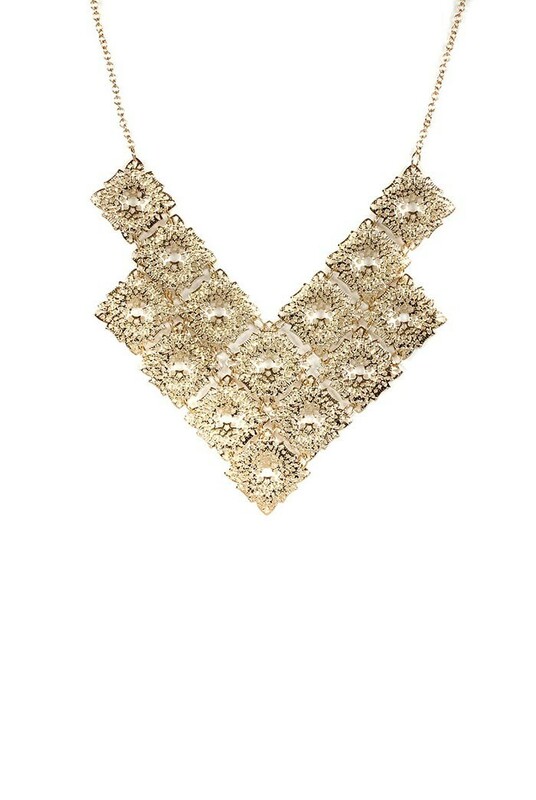 This is a large triangle necklace comprising smaller square sections linked with gold tone links. Each square section has stunning lace inspired cut out effect forming a floral feel with a circular cut out centre. The bib is held on a gold tone chain with push clasp fastener.